Very unique and contemporary sterling silver and Blue Zircon and Moissanite Ring. Works well as part of a stack. 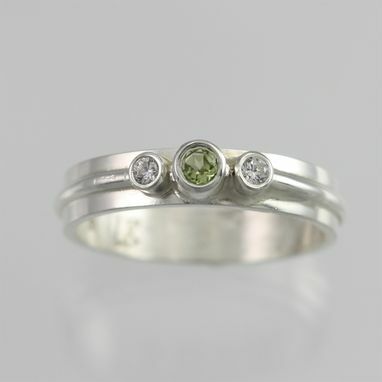 Fabricated by hand using sterling silver rectangle wire that is cut, bent, soldered, hammered, and polished to form the ring shank. Pieces of sterling tubing and 1/2 round wire are cut and soldered to the shank. 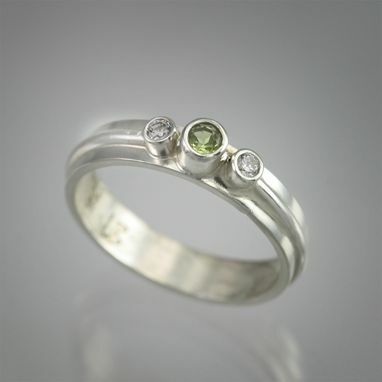 The fine silver is raised to the surface to remove firescale and prevent tarnishing. 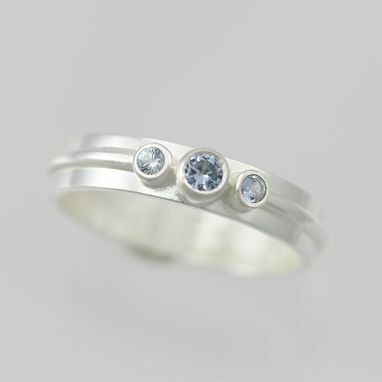 A 3mm lab-grown Blue Zircon stone is set in the center and two 2mm Moissanite stones are set in tubes on either side. The piece is brought to a glossy finish. 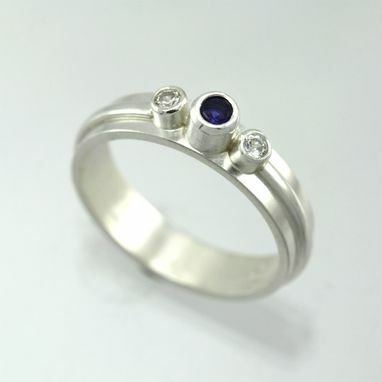 Ring is a size 5.75. 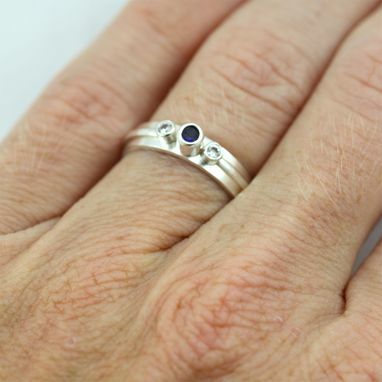 Ring band is 4mm wide and 1mm thick. 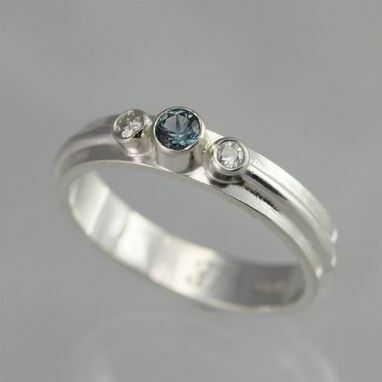 Blue Zircon is the birthstone for December. 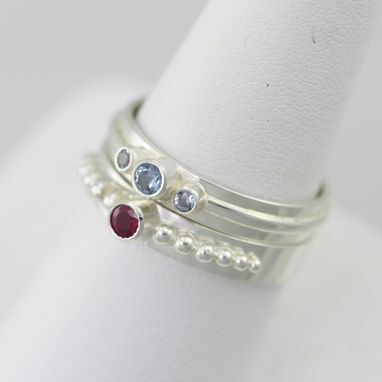 Can be made to order with any birthstone in any size, just specify at the checkout. Works well as a mother ring.